If you just looked at the headlines of late, you’d think the real estate (NYSEARCA:IYR) market is dead. Existing home inventories falling. New construction flat. Houses sitting on the market longer and longer. Homebuilder stocks tumbling. According to realtor.com, the median listing price for homes in the U.S. hit $300,000 last month. That’s the highest it’s ever been. Higher, even, than during the housing bubble a decade ago. And that number is likely to keep rising, with more luxury homes coming onto the market this year. The number of houses selling for over $750,000 jumped 11% in March. But the number listed below $200,000 dropped nearly as much: 9%. So you can bet that median price record is just waiting to get broken. But that high price tag is one of the big reasons you’re seeing those headlines I mentioned before. First, it’s convincing some owners to hold off on selling for an even higher price. Second, it’s making it harder to move the houses. Last month, listings sat for an additional two days before being scooped up. And finally, it’s keeping homebuilders (NYSEARC:XHB) from putting new inventory out because they typically build luxury properties to sell, and there are a lot of luxury properties already out there. Bruce Willis is best known for his role as John McClane in the Die Hard movies. But he’s also been a very active real estate investor over the years, too. And Willis is taking advantage of this burning-hot market to cash in on some of his investments. He just sold his expansive Idaho ranch near Sun Valley for $5.5 million in January. 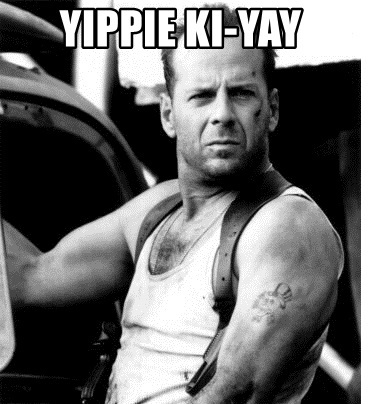 Can everyone say, “Yippie ki-yay”? And he’s got a ton of other properties still on the market. Want to live in the lap of luxury in the Caribbean? You can buy Bruce’s mansion in Turks and Caicos for a mere $33 million. Interested in high-rise living in Manhattan? Bruce has an apartment overlooking NYC that you can scoop up for a paltry $17.75 million. He’s also selling a mansion in Bedford Corners, New York, for about $13 million if you’re more of a country mouse. Those are just three of the multimillion-dollar properties Willis is selling right now. He’s got a bunch more all over the county that he’s flipping as I type. So, if prices are at record highs, more luxury homes are hitting the market every day, and new inventory isn’t coming out to balance the prices, where can an investor find value? While the rest of the country is seeing houses sitting around longer and longer, three cities are actually watching sales pace increase. Pittsburgh, Cleveland, and Oklahoma City are all selling homes much faster than last year. So you’re probably not going to find a seller willing to negotiate. But if you head to cities like San Francisco, Dallas, Houston, and Jacksonville, you’ll see prices falling because of the massive number of homes on the market. They dropped about 3% in each city last year. Or you could look at the cities where homes listed for sale increased over the year. In San Jose, there are 114% more homes for sale now than last year. That’s giving buyers a little bargaining power. And it’s making sellers compete against each other. Prices are down about 12% there over last year. But what if you don’t live near any of those areas? And what if you’re not really interested in moving to them? Can you still make money in this hot real estate market? Of course you can. Wherever there’s a market, there’s a way to profit from it. Real estate is no different. You just have to know a few little secrets, and you can get access to the best real estate in the country with very little risk and even less money to invest. It guarantees a steady stream of income flowing into your account every month. And it costs less than a family dinner at Applebee’s. We don’t talk to tenants. We don’t pay a mortgage on the properties. We don’t even have to worry about fixing or maintaining them. We just sit back and watch rent checks flow into our accounts month after month. And we’ve invested in some of the most valuable real estate out there through these investments. I’m talking about retail properties filled with stores that are impervious to online retailers like Amazon.com. We’ve even invested in what you could call intangible real estate. It sounds odd. But it’s some of the most valuable “space” in the entire world. I’m talking about the cloud you hear technology writers mention. It’s where all our data lives. And I helped my readers invest in it. Even the best real estate agent can’t get you a piece of the cloud. But here we are, and my investors are getting regular rent checks from those ethereal tenants. We’ve even found a way to get our hands on some of the most valuable physical property in the world through these investments: farmland. It’s the most essential type of property out there. And with global population constantly on the rise, it’s some of the most valuable and profitable land that exists. And my investors have the choice to collect monthly rent checks from thousands of farmers across the country. But I’m not satisfied. I’m still looking for new ways to exploit this profit loophole. And I want to share them with as many investors as possible. Become a Real Estate Investor Today! I got into this business to help people make money and secure financial independence — real freedom. And that’s what investments like this are made to do. So I want to share some of them with you. Just click here to access our report on three of the most profitable real estate investments we could find. You’ll learn how much money folks like you are already collecting. You’ll get access to three of the most sought-after real estate investments on the market. Plus, you’ll have me and my partner, Briton Ryle, helping you start to bank monthly rent checks, too. Don’t get caught without the most important part of that equation. Click here to learn where you need to invest to score those massive gains. Maybe in a few years, Bruce Willis will be buying your $33 million estate.